Romelu Lukaku returns to the Hawthorns tonight. West Brom face Everton at the Hawthorns tonight with both clubs looking for three vitally important points for hugely differing reasons. New Spanish Head Coach Pepe Mel takes charge of the Baggies for the first time and with a week of coaching his new charges he will hope that his message and style of play will have been well received. Since sacking Steve Clarke after a poor run of form West Brom have only suffered one defeat in five, but have also only won one of those five. They sit precariously positioned in 14th, three points above the relegation zone. Lose tonight and their goal difference will see them slip another place down the table below Swansea, but a win will take them into the top half, leapfrogging Stoke, Norwich, Hull and Aston Villa in a congested mid-table. Roberto Martinez’s Everton are having a fantastic season, losing only twice so far and sharing the best defensive record in the league with table topping Arsenal. A victory in the Midlands would see them move into the Champions League qualifying places above Tottenham and Merseyside rivals Liverpool. Martinez has seemingly installed an attacking belief into his players which has allowed some unfashionable names, such as Seamus Coleman and Leon Osman, to flourish offensively. Midfield threat and flair from Steven Pienaar and Kevin Mirallas also contributes to making Everton appear a positive and likeable side. If focus isn’t solely on how Mel fares in his first venture into Premier League football then much will be made about Romelu Lukaku’s return to a ground where he scored 17 goals last season during a season-long loan from Chelsea. Now performing a similar role at The Toffees despite many predicting that he would flourish in a Chelsea shirt, the Belgian hitman is someone to be feared, despite being on a barren run of form that has seen him score just one goal since the end of November. His strong, physical presence, pace and eye for goal will surely mean that a World Cup squad place with Belgium is his to lose. Lukaku will recognise his goal drought and will be keen to rekindle his scoring touch against his former employers tonight. What West Brom would do for Lukaku’s services again. Having sold Shane Long to Hull, and with forward thinking players Victor Anichebe and Stephane Sessegnon struggling with injury, Albion appear light up front. The furore surrounding the experienced Nicolas Anelka and his ‘quenelle’ gesture at West Ham has today lead to main sponsor Zoopla cancelling their deal from the end of this season, so it is clear that all is not harmonious for Mel’s troops. Saido Berahino and Matej Vydra will perhaps be asked to play some part, but in reality the new Spanish boss may have to delve into the transfer or loan market to find a goalscorer capable of shooting Albion away from the dangers of the relegation zone. Everton will be favoured by the neutral and the bookmaker, and what price for Lukaku to return and haunt at the Hawthorns? 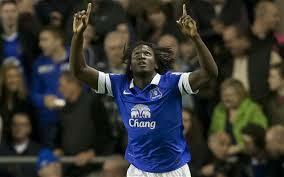 It is sure to be a compelling and interesting game that I believe Everton will pinch. Previous articleCan Nottingham Forest continue their promotion push? Next articleBorussia Dortmund-The Worlds Best Selling Club?